I remember my first, and only, speeding ticket. I was 16-years-old and had four friends in the car. I was doing about 15 over the speed limit when the blue lights started flashing behind me. My hopes of getting off with a warning vanished with the slip of paper the officer handed to me. Not only was I embarrassed in front of my friends, but also the thought of facing my parents when I got home just about killed me. No one likes getting a speeding ticket, or any ticket for that matter. 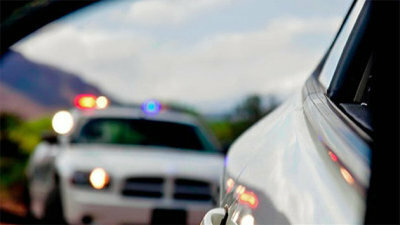 For this reason, a recent article titled, “10 Tips to Avoid Speeding Tickets” caught my attention. As the article explains, motorists are often looked at as a source of revenue since 54 percent of all tickets are for speeding and add up to an estimated $2 billion in revenue every year. Since this is the case, the article listed off ten ways to help avoid speeding tickets. Some of them were to having situation awareness, being ready for speed traps, driving a less flashy car in the “slow lane,” and fighting every ticket in court. Interestingly, there was one very important tip missing from this list. If people want to avoid speeding tickets, then don’t speed. It’s that simple. Yes, there are some times when the speed limit drastically changes without warning with a cop waiting to nail you, but this is very rare. The vast majority of people who get speeding tickets deserve them. I know I deserved mine. This article displays a sad mindset in our society. Many are no longer concerned with “right and wrong” but simply if they get caught or not. The article and other objects such as dash mounted radar detectors are designed to allow people to continue breaking the law without the consequences. People are looking for ways they can get away with doing wrong. Unfortunately, this mindset is creeping into the church as well. Sometimes people do anything they can to sin without getting caught. 2 Corinthians talks about two different reactions people have towards doing wrong. Listen to these words, “For the sorrow that is according to the will of God produces a repentance without regret, leading to salvation, but the sorrow of the world produces death” (7:10). The “sorrow of the world” is talking about people who are just sorry they were caught. They aren’t sorry they sinned. Scripture says this type of sorrow produces death. On the other side, “Godly sorrow” is talking about people who are deeply sorry they have sinned against God. In this case, their sorrow causes them change their ways, whether they were actually caught and punished or not. This type of sorrow leads to salvation. Certainly we want to do everything we can to receive salvation. Therefore, let’s choose Godly sorrow. May we never be people who are trying to get away with doing wrong. Let’s be people who are genuinely sorry, but also dedicated to changing our ways when we do wrong.